Valentine’s Day will be here before you know it. If you need some romantic vegan and vegetarian dinner ideas, look no further than this list of amazing appetizers, main dishes, sides and desserts. 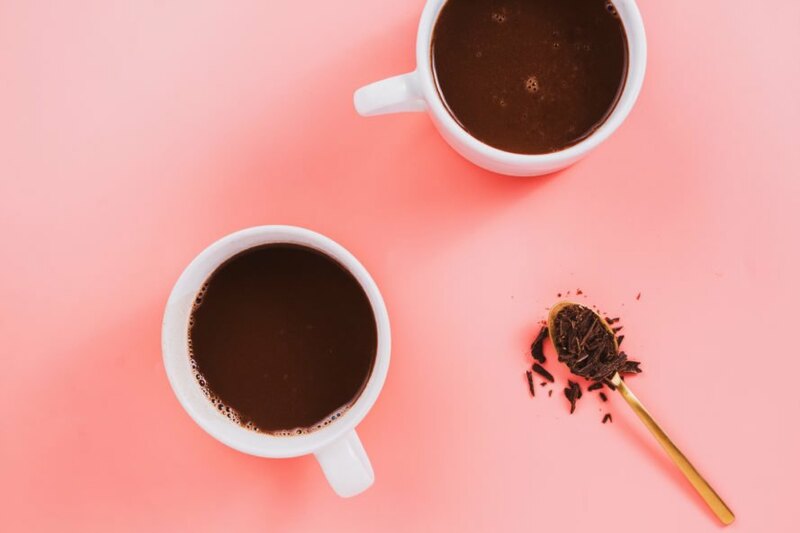 We even found a recipe for a rich, velvety vegan hot chocolate that will surely impress your significant other! Just because you are vegan doesn’t mean you can’t enjoy fondue. 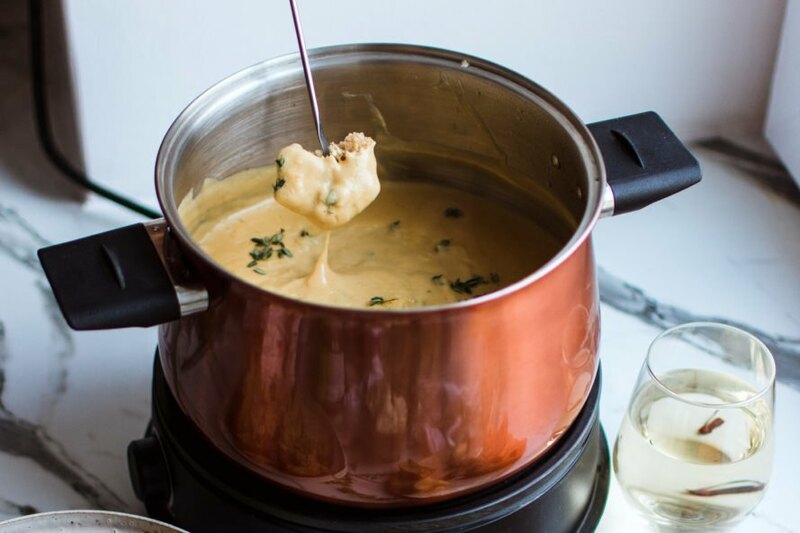 This dairy-free cheese fondue from The Edgy Veg really spices up a romantic date night. For this plant-based fondue, you will use rice, potato and cashews. It is so delicious, you will want to dip everything in it. 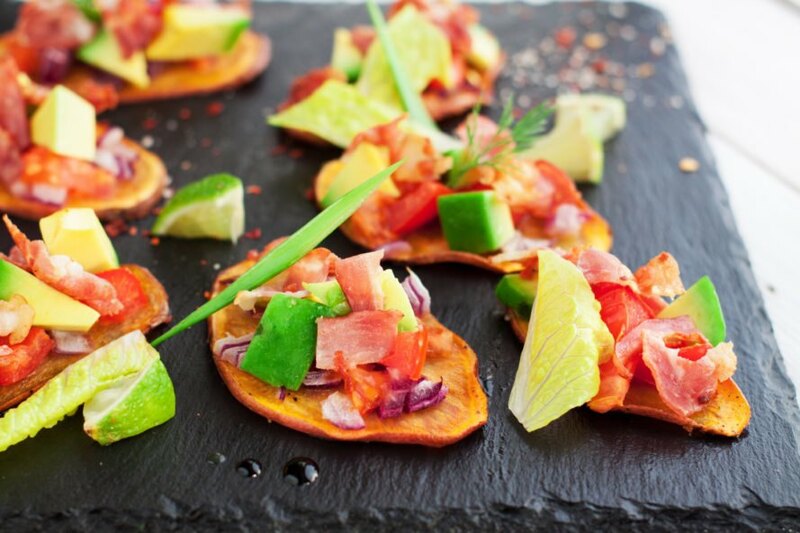 Another appetizer idea for your Valentine’s dinner, these sweet potato and avocado bites from Blissful Basil are a show-stopping treat. The ingredient list is short, and you simply start by tossing sweet potato slices in olive oil, cumin and paprika. After roasting them, top the sweet potatoes with an avocado and lime juice mixture, and finish with a garnish of tomato and radish sprouts. It’s a delicious vegan dish for the start of your romantic evening. 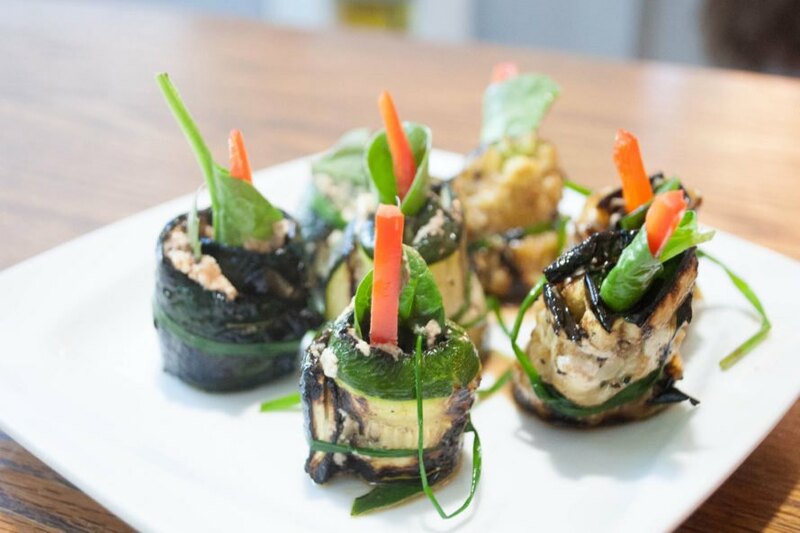 From Menu Musings of a Modern American Mom, these grilled zucchini rolls combine herbed goat cheese, roasted red peppers and zucchini. They are incredibly easy to make, and they are a great appetizer to munch on while you are making your main dish. Featuring homemade elements like Caesar dressing, peppery croutons and hemp Parmesan cheese, this recipe comes from My Darling Vegan. It is the perfect side dish for your vegan or vegetarian Valentine’s dinner. 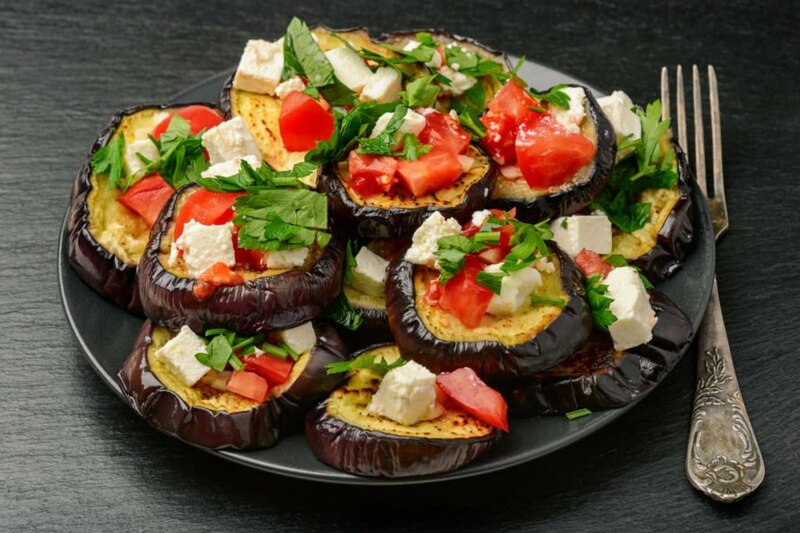 This amazing first course from Epicurious features eggplants, basil leaves, a large slice of tomato and crumbled feta. You start by grilling the eggplant and then stacking the ingredients. Continue grilling until the cheese melted. If you don’t have a grill, or if it’s too cold outside to fire it up, but you still want a delicious vegan eggplant dish for Valentine’s Day, try this vegan eggplant Parmesan recipe from Oh She Glows. This vegan and gluten-free dish comes from The Minimalist Baker, and it is a creamy, cheesy comfort food that takes just eight ingredients and 30 minutes to prepare. You will need vegetable broth, olive oil, bella or cremini mushrooms, leeks, arborio rice, dry white wine, vegan butter, vegan Parmesan cheese, fresh parsley and some salt and pepper. It is the ideal side for an Italian dinner. 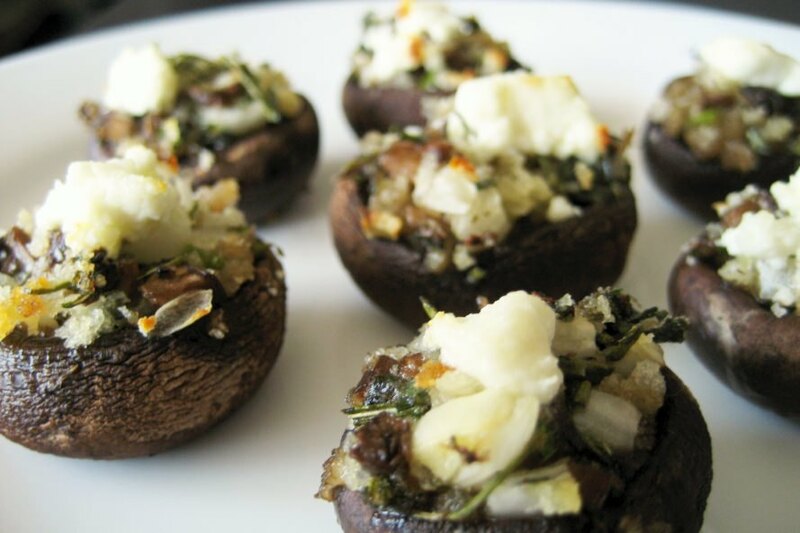 A savory appetizer for your Valentine’s dinner, this recipe is from Cheftographer, and it features sun-dried tomatoes, fresh basil, garlic and vegan cream cheese stuffed inside bite-sized mushrooms. This appetizer pairs well with a glass of wine, and both vegans and non-vegans will love it. 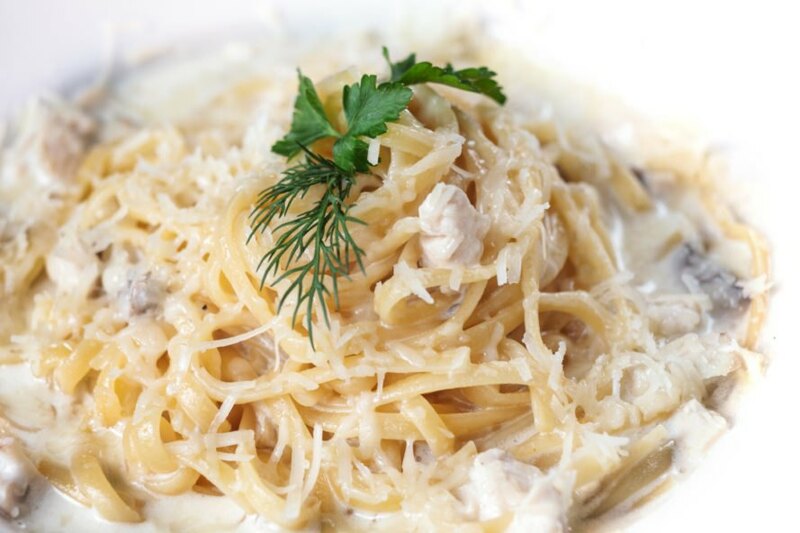 You can indulge on Valentine’s Day with this creamy, cheesy dish from Gourmandelle. The peppercorns give it a spicy kick, and the sour cream, feta cheese and dill give the pasta a delicious flavor. You can also choose a gluten-free pasta and add as many leafy greens as you like. 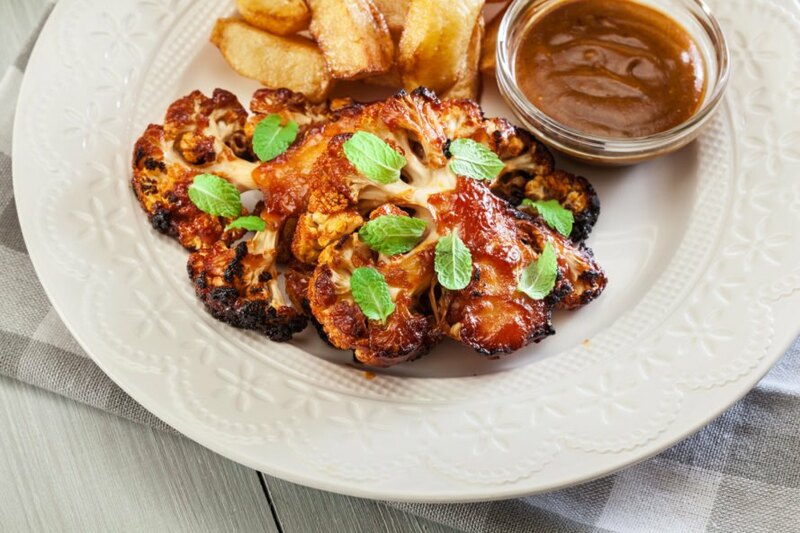 When it comes to a cauliflower “steak,” the name refers to how the cauliflower is cut. No, this is not for a steak-loving meat eater, but this recipe from Oh My Veggies is excellent for vegans. The mushroom gravy gets its complex, umami flavor from the dried porcini mushrooms. But if you can’t find those, any dried mushroom will work. This deliciously creamy sauce calls for 10 ingredients and just 30 minutes to make, plus it is dairy– and nut-free. The recipe comes from Making Thyme For Health, and you can add this sauce to your choice of pasta, spaghetti squash or spiralized veggies. You can also give the dish “extra veggie power” by adding peas, mushrooms, broccoli or whatever else tickles your fancy! This is a decadent beverage made with dark chocolate, coconut milk and coconut cream, then topped off with a flaky, gourmet salt. This idea comes from Champagne Tastes, and it is a perfect treat that you and your Valentine can enjoy before or after dinner. This idea from Food Family Finds creates cupcakes that are filled with love. Basically, you make your favorite cupcake, cut out the center into a heart and fill the hole with cherry pie filling, strawberries, fudge or anything else your heart desires. This vegetarian recipe from Food On Paper is a classic cookie recipe that features butter, sugar, flour, cocoa, vanilla and a dusting of powdered sugar. 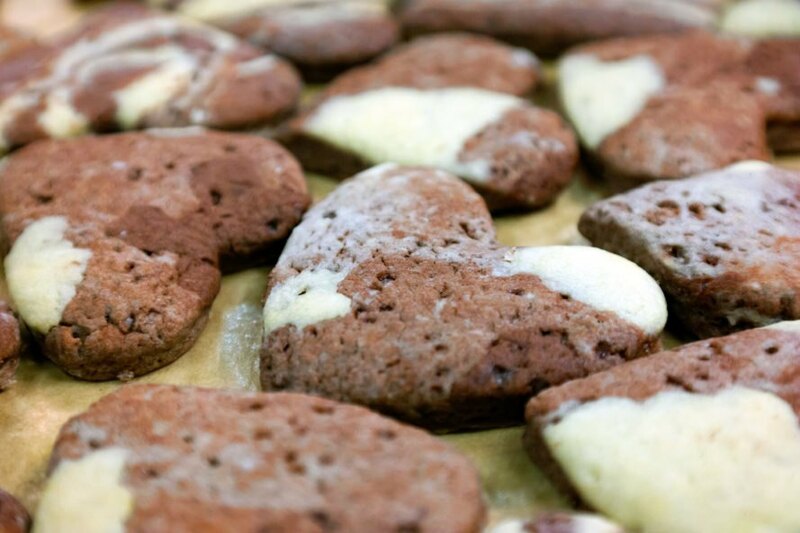 But the most important part of this recipe is the heart-shaped cookie cutter. Alternatively, whip up your favorite cookie recipe, then use the cookie cutter to make your cookies into lovable shapes. This recipe comes from The Vegan 8, which means it is a vegan recipe that only calls for eight ingredients. 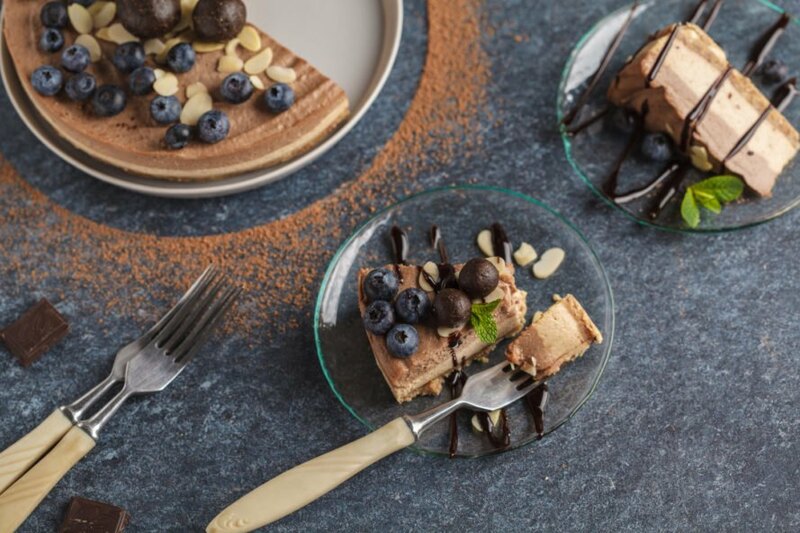 Not only is this dessert vegan, but the chocolate crust is also gluten-free. To make that crust, all you need is sliced almonds, raw cacao, raw agave nectar and some sea salt. For the filling, you will need raw whole cashews, sliced almonds or regular almond butter, lemon juice, raw agave nectar, vanilla extract, sea salt and chocolate almond butter. Preparing for a romantic Valentine's Day dinner for two? Here are some of our picks for appetizers, main courses and desserts. Swap chocolate and cheese for vegan-friendly versions. This appetizer will spice up the night. These beautiful rolls will surely impress your date. 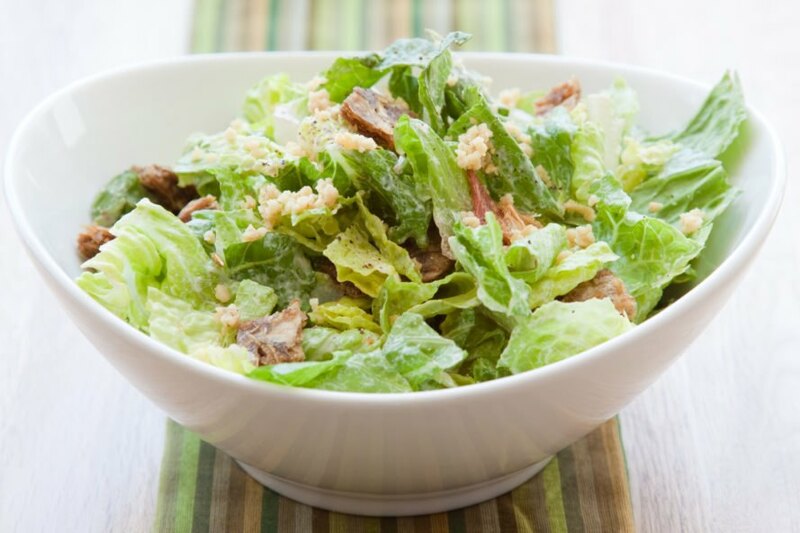 A vegan Caesar salad makes a great starter for any meal. This grilled eggplant topped with tomato and feta is a refreshing dish. 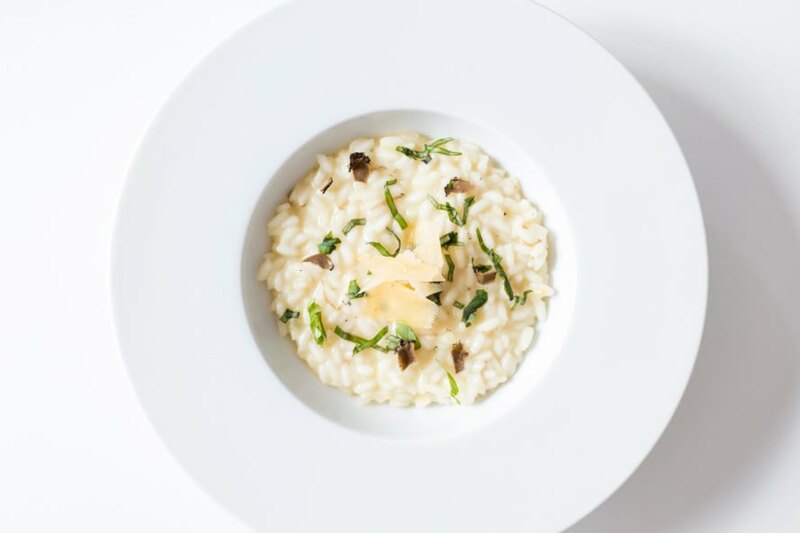 A creamy risotto makes a decadent treat. Pair these stuffed mushrooms with wine for an unforgettable experience. This pasta dish is finished with peppercorns and dill for an indulgent dinner. The mushroom gravy really makes the meal pop with its savory, umami flavor. 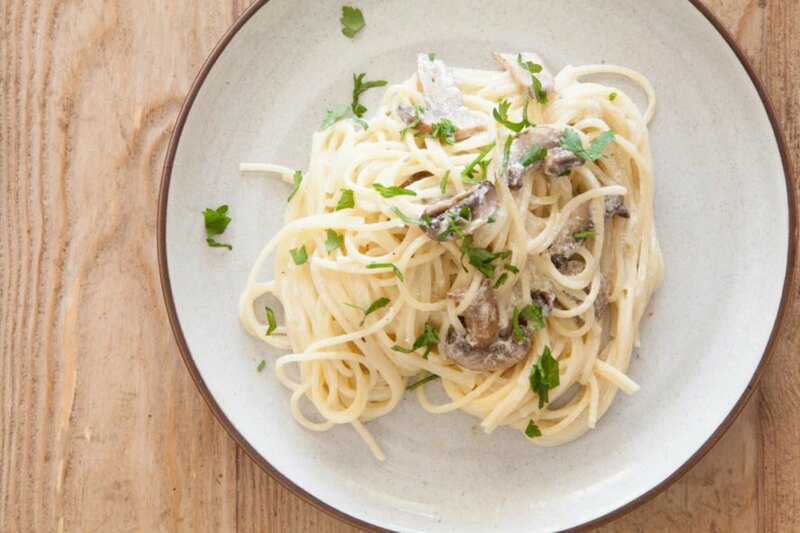 Swap traditional Alfredo sauce for this creamy, vegan alternative. This rich beverage is great for kicking off dessert. A dessert filled with love, these cupcakes are cute and sweet. 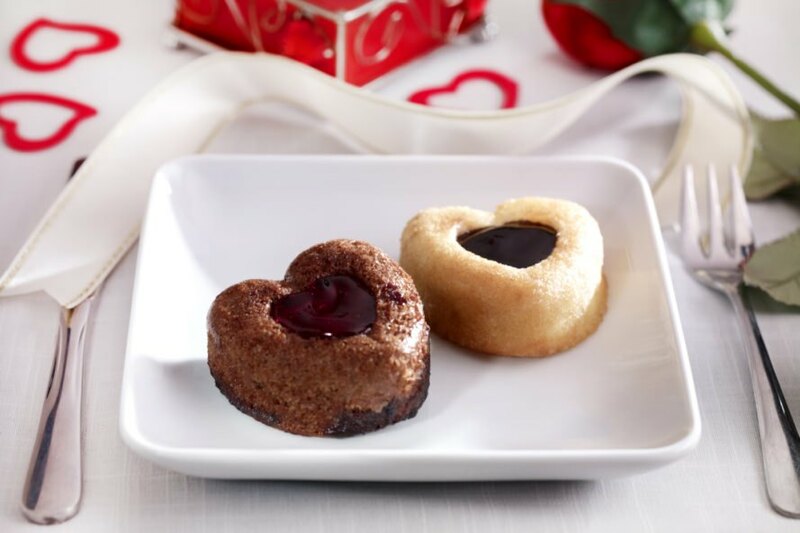 Following the heart theme, bake your favorite cookie recipe with heart-shaped cookie cutters. This vegan dessert uses only raw, natural ingredients. How will you wine and dine your Valentine?